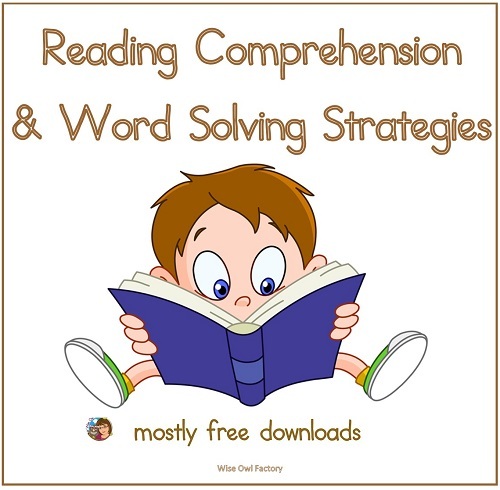 Reading Strategies Pack 1, 170 pages with word solving and reading comprehension strategies, available free in our free eMember area. 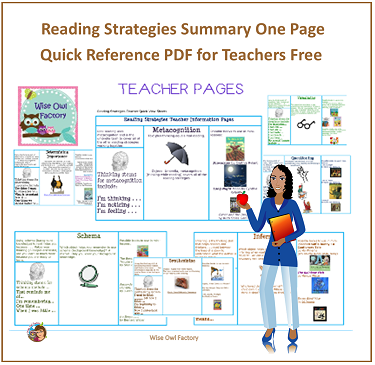 The free level eMember pages have both free (mostly) and priced Pre-K through elementary grade levels reading strategies. 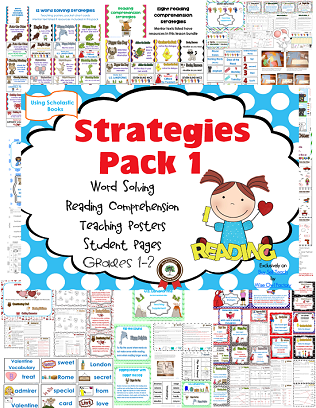 First, my popular download Reading Strategies Pack 1. See this blog post for more information and photos. This can be downloaded in our free eMember area. 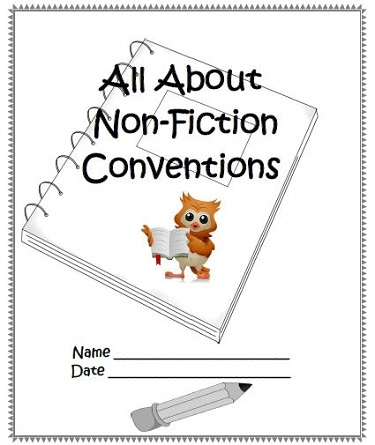 Free non-fiction text conventions “work book” for some writing, drawing, and cut and paste activities on these text features. 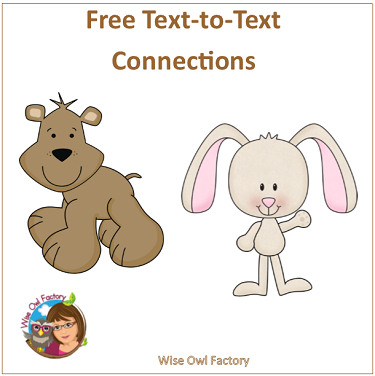 Download on our free literacy page. 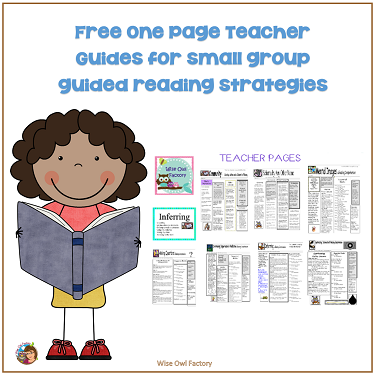 Free quick view guide reading strategies printable for parents and teachers to use with guided reading small groups or individual children. 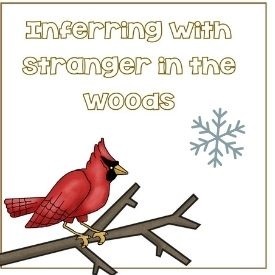 See the blog post at this link to download the PDF and read more information and a suggested book for teachers and parents. 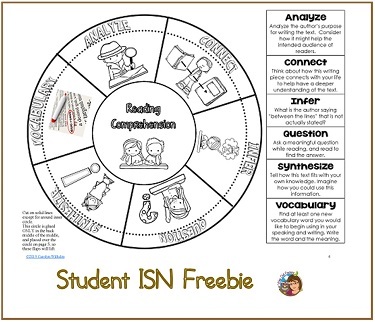 Reading with Meaning by Debbie Miller one page chapter synopsis guides for quick reference — download at the blog post. 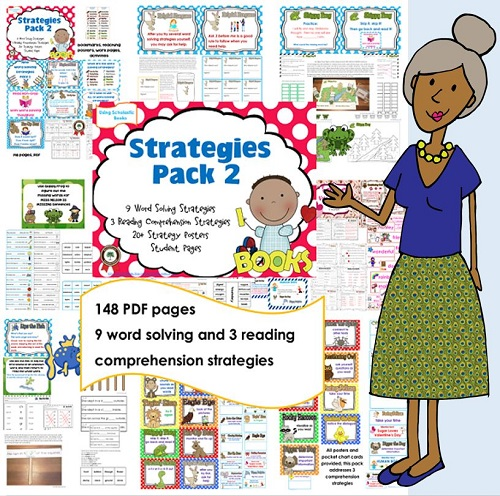 Reading Strategies Pack 2 is a companion for the free reading strategies pack 1, above. 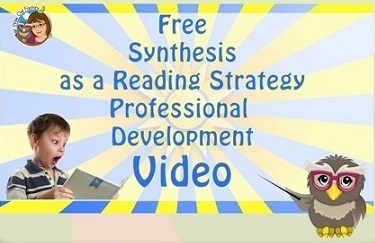 This link will open a free demonstration PDF to provide more information and a list of the CCSS addressed. This priced product is included our premium eMember area.